One of the real attractions to Roon was that I could finally find all instances of a track in my collection, regardless of who performed it. This has, however, proven not to be the case because Roon doesn’t fill in the blanks on composer metadata even when it has the unambiguous data to do so. As a workaround I started doing so myself using the same composer names that Allmusic/Rovi/Tivo do. For a while that worked wonders. 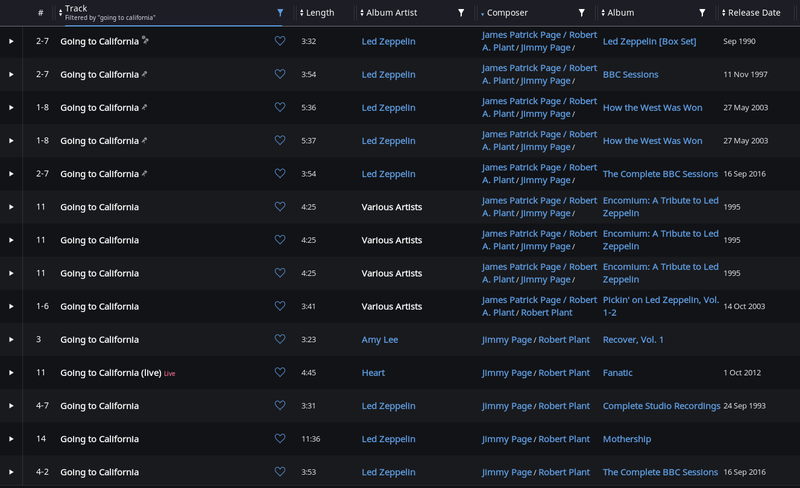 Now, however, Roon has taken to adding noise to composer metadata, meaning that tracks that would previously have matched now no longer match. 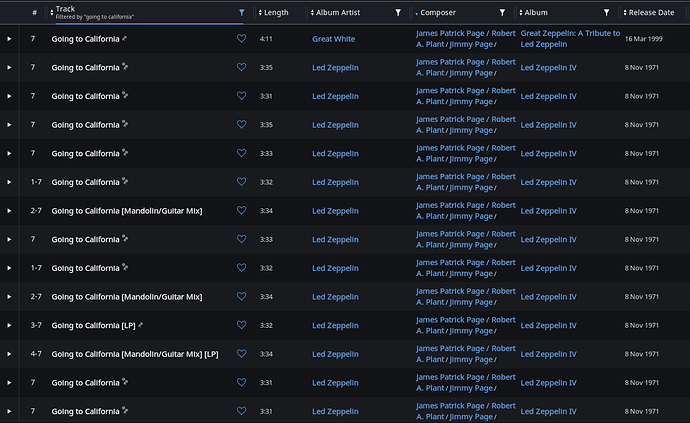 All of the abovementioned albums are tagged with Jimmy Page and Robert Plant credited as Composer. If I look up all instances of that track Roon shows 23, but there are more. 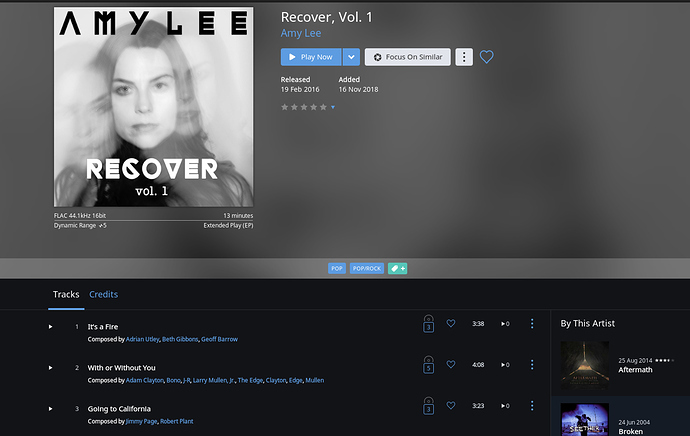 Amy Lee doesn’t show up (and I suspect there are many more…in fact, on the assumption that Roon’s filter is accurate, there are 34!). I’m tired of playing around with Roon and metadata trying to guess what it does so I can get to it to what it was touted to do in the first place. Can you guys please put out some definitive info re what it takes to match tracks and so on so that those of us who care can actually get some value out of Roon beyond pressing play! We looked into this one and found that the credits coming from one of our metadata providers isn’t quite right here. We’ve reached out to them and requested that they make a change. We will be sure to keep you updated as we hear back from them on this. Our metadata provider got back to us on this and let us know they’ve made some changes. Give this a week or two and you should see these changes reflected in Roon. Things should be better after that, but if you’re still seeing issues please let us know! Thanks @dylan. That’ll hopefully get those tracks recognised, but what about the remaining tracks that have the correct composer metadata (without the spurious composer metadata) and track name, but aren’t recognised by Roon as being the same track as the 23 it deemed to be the same? Also, what are the conditions that must be met for the lyrics to be applied? Once the composer credits are fixed you should see more matches be made. If there are any remaining that are not matching we will take a look at those specific cases at that time. 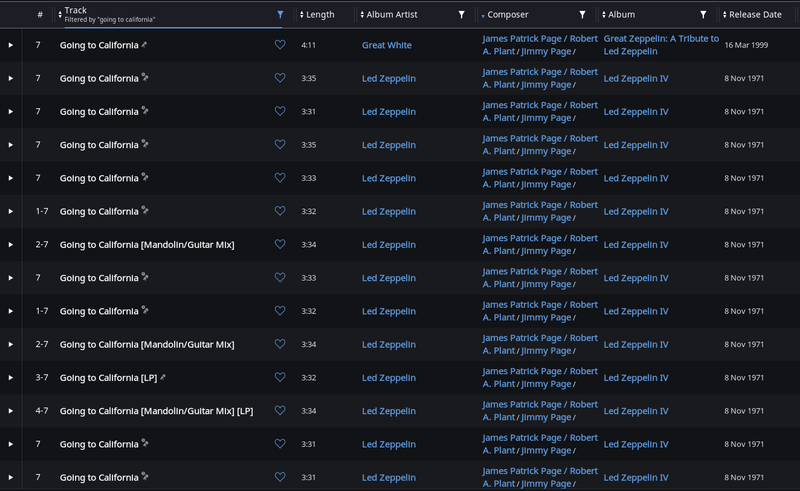 Lyrics are furnished by our metadata providers for specific tracks, and may not be available in Roon for every version or edition of a given song or album. This is something we’re actively working to improve in the future.